You know those fruit-and-yogurt parfaits a certain Golden Arches place sells? I love those! However, that establishment's fruit scares me. Did you know that their apples stay looking like apples for months if your coworker forgets them in the fridge? Ew! Apples should go bad quickly. Good news: you can make it your own darn self! 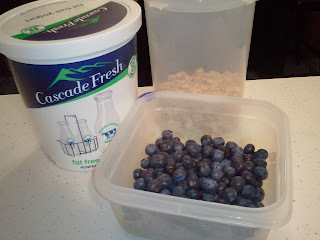 You just need fresh or frozen fruit, yogurt and granola. I bought a ton of fresh blueberries that I couldn't use fast enough, so I froze them. 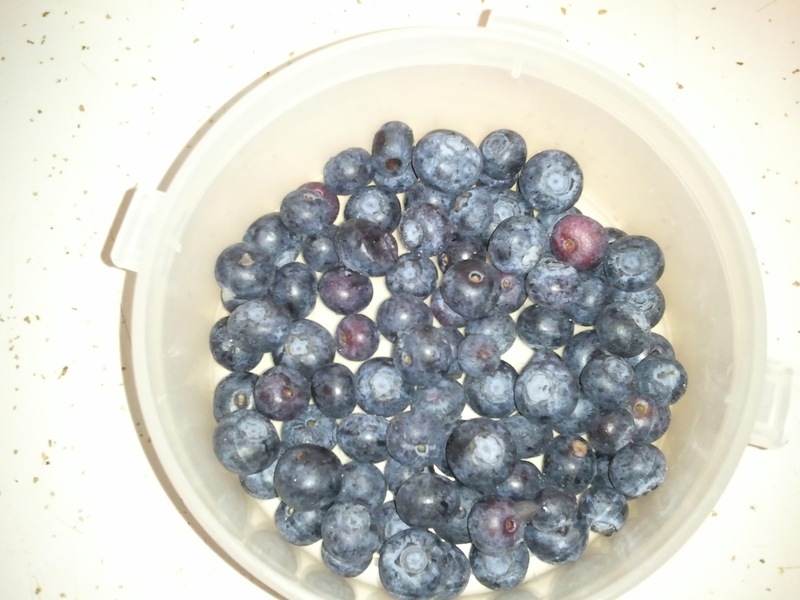 To be fair, I prefer my blueberries frozen anyway. Put your fruit on the bottom. 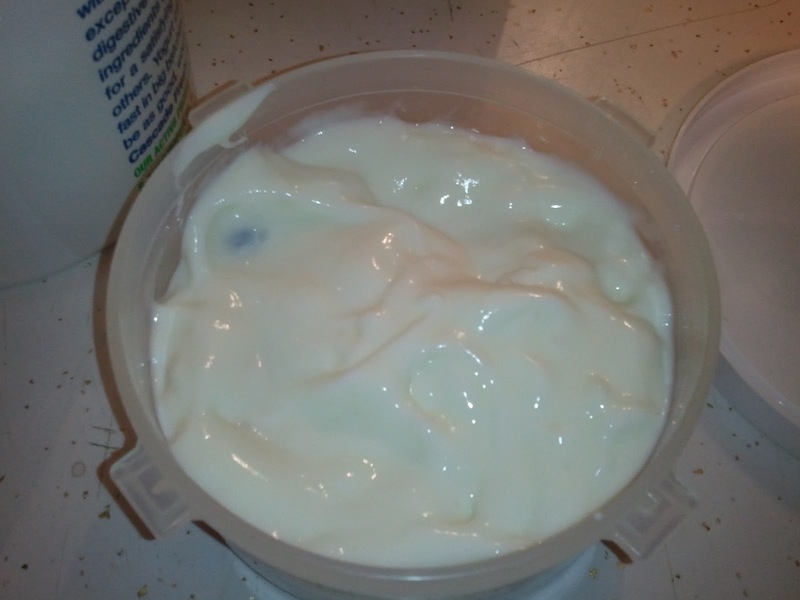 Then cover the fruit in yogurt. I like plain fat-free yogurt, but that can be a little tart for a lot of people. Feel free to use any kind of yogurt, and just know that many types have a lot of added sugar. If you happen to be vegan, use non-dairy yogurt. I tried soy yogurt a few times but thought it was gross. Instead I insist on organic cow-milk (regular or Greek) yogurt. Yum! Finally, sprinkle a little granola on the top. When I can make it to Whole Foods, I stock up on the bulk granola there. It's so good and cheap! 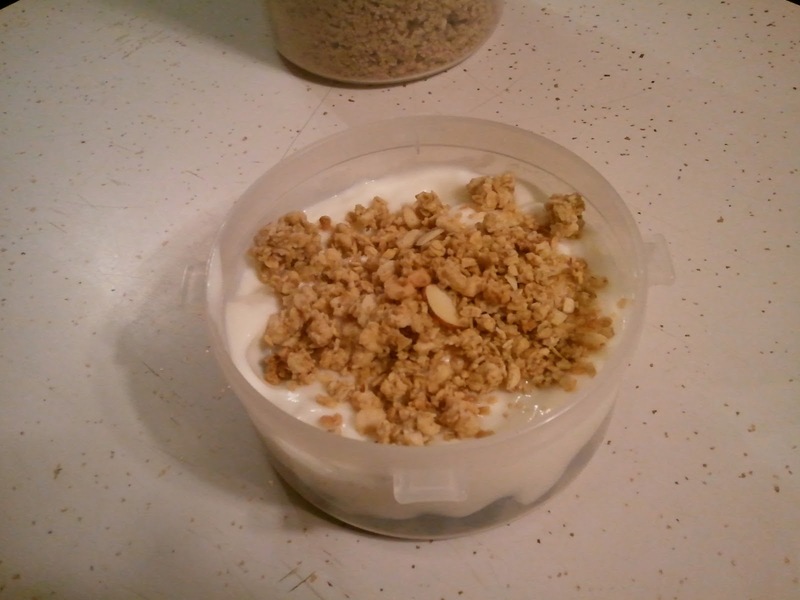 Granola also is high-sugar, so load up on yogurt and fruit if you're calorie-conscious. The granola just gives it a nice sweetness and a little crunch. Most days I make this right before I leave the house and eat it at my desk at work. 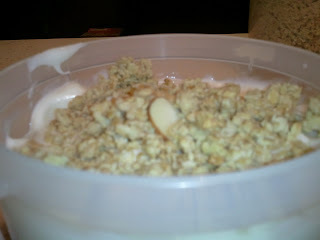 By then, the bottom of the granola pieces have soften but the tops are crunchy. It's my favorite way to eat yogurt! Mix and eat! I like mine layered, but you don't have to.